Audion Silver Night Mk1 300B PCB stereo is our entry level intermediate power amplifier, using the well known 300B tubes. This amplifier is built on a quality substrate pcb (printed circuit board). 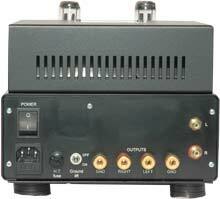 All our amplifiers are hand built avoiding the use of Chinese components where possible. This triode based stereo amp uses no (zero) feedback in the design. The chassis is black powder coated aluminum as is the transformer cover. The top plate and badge are mirror finished stainless steel. The Silver Night range of amplifiers are the best known of the Audion products, and the ones that have won most awards, notably amp of the year in Japan 2010. Having a volume control on the front and mono inputs on the rear means that a pre-amplifier is not necessary with this unit, but is advised . These amps are all auto biased. It will take almost any 300B (Unit is supplied with JJ 300B tubes).The Silver Night Mk1 300b Class A power amplifier has 8 ohm outputs and stereo inputs. The Silver night MK1 is built with components sourced from Europe and the US. Where possible we avoid the use of any Chinese component. Our output transformers are wound in-house to our exacting standards and many of the components are either made by us or specifically for us. 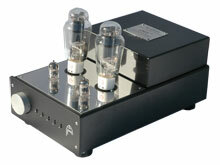 We use JJ 300B and Russian New old stock 6H1N as a driver and NOS Jan Philips 5687 input tubes.